A first year HUB member, Madison Barton is currently a junior at Hubbard High School. 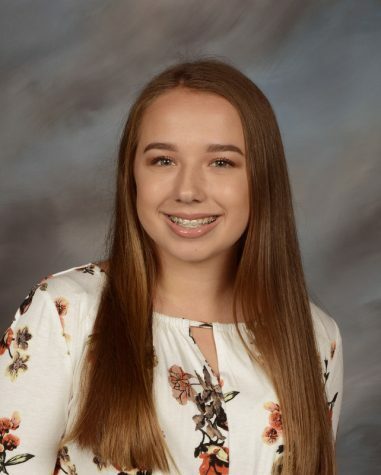 Madison has joined the HUB because she enjoys writing about current school events and wants to help connect the students through her work. She is involved in the Hubbard community and hopes to keep the members of this community updated. Madison carries out a busy academic schedule, as she is currently enrolled in three CCP classes: Chemistry, Government, and Algebra. She is also taking Honors English, Sports Video, and French III. She is an active, third-year member of the SADD, Ecology, and French Clubs. Additionally, Madison plays softball for Hubbard and is a varsity letterer. In Madison’s future, she hopes to maintain her high GPA of 3.9 and graduate high school with an honors diploma. She plans on attending college to pursue a degree within the medical field, as she wishes to help people on a daily basis. Once Madison has finished her schooling, she would like to acquire a good job in a different state and possibly even open her own practice. In Madison’s first year of being in the HUB staff, she intends to use her creativity in her writing to not only inform, but also entertain her readers.